Hotel Golden Nest provides 24-hour room service to its guests. 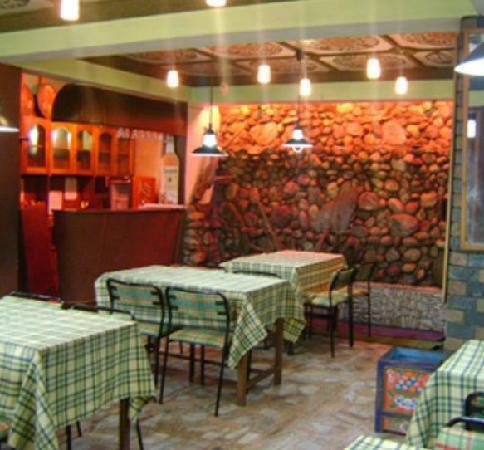 This Gangtok hotel is located at 10 km from the Ranipool Bus Stop and at 9 km from the Hanuman Tok. This 2-story hotel has 10 AC and non-AC rooms. Each room has an attached bathroom and is equipped with a color TV, a telephone, an in-room menu, and a safe. This budget hotel in Gangtok offers 24-hour security, laundry, and doctor-on-call service. It also has a multi-cuisine restaurant , bar, and coffee shop. Currency Exchange, Laundry Facilities, Security Guard, Breakfast Services, Exhibit Space, Parking, Backup Generator, Internet/Wi-Fi, Travel Counter, Room Service. Moisturiser, Cable/Satellite TV, Internet Access, Wakeup Calls, Attached Bathroom, H/C Water, Room Heater, Bottled Water in Room, House Keeping, Television Room. User reviews for "Golden Nest Hotel Gangtok"